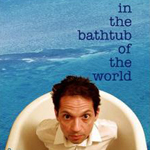 Don Peris will be performing solo at the Ephrata Main Theatre in Ephrata, PA on December 3rd at 8pm. For tickets and more information visit the Ephrata Main Theatre. Two new compilations have been added to the site both released in 2008. The first is From Melancholy Garden released in Japan and contains the track "Over the Moon". 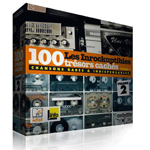 The second compilation is Les Inrockuptibles Trésors cachés volume 2 which translates to "Hidden Treasures". 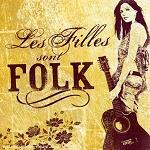 This was released in France and contains the track "The Lakes of Canada". This particular compilation is a 6-CD box set. You can now pre-order a copy of the My Room In The Trees album on 12" vinyl at the band's official site. Every once and awhile you'll run across a negative review of an Innocence Mission album. Although not exactly scorching, Ryan Reed chooses to note the obvious to longtime fans (that the sparse arrangements tend to be quiet and alike), albeit negatively, in his PopMatters review. The most common feedback I receive from fans who've been following the band since the first two albums is that they miss Steve Brown. His drumming arrangements do tend to add more punch and depth to the band's music. For those who miss the band's early days, Steve performs on "Rain" (the first track on the album). Speaking of Steve Brown, here is a more positive spin of the album from Cincinnati CityBeat's Brian Baker that more eloquently summarizes my statement above. 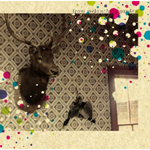 Newly added to the compilations section is the 2007 EMI French release Les Filles Sont Folk with The Innocence Mission track "Happy Birthday". Josh Hurst has written a short thumbs-up review of My Room In The Trees for ChristianityToday.com. Also, you can visit AVClub.com to read Noel Murray's review and AOL.com Shopping to read Jamey Schrick's review. My Room In The Trees is now available for purchase in France through the Fargo Store. The iTunes pre-order for My Room In The Trees will contain an exclusive iTunes bonus-track titled, "Greys and Blues" along with a digi-book. You can also download "Happy Mondays" and "God Is Love" free at Murich.com as well as read their review of My Room In The Trees. Paste Magazine is offering a free download of "Happy Mondays". Get it while you can. Imdiscog.com will be migrating in the next several days to a new server "where the environment is generally more suited towards our needs". With the growth of the site and bandwith usage, I'm sure you all will be seeing faster load times. At least that's my hope. The process should be seamless and you should not notice any downtime. However, should you have any problems accessing content please let me know by using the contact link on the top menu bar, or contact me at keithabbott@hotmail.com. Should there be an outage, you should still be able to view the news page here: http://imdiscog.blogspot.com. Two new guitar tabs have been added to the site. The first tab is "Since I Still Tell You My Every Day" and the other tab is "Oh Do Not Fly Away". Both are accessible on the lyrics/guitar tabs page. Be sure to visit the band's Myspace page to preview the new Innocence Mission track "Rain" (from the Innocence Mission's forthcoming album, My Room In The Trees). You'll find the track on the site's main page via the link above. Special note: former Innocence Mission drummer Steve Brown returns to perform on the track. 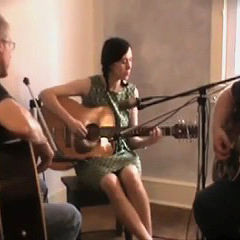 LAMP Records has uploaded yet another live video to YouTube this week. This time, all 3 band members perform "Song for Tom"
Unseen-Music.com has made available a previously unreleased instrumental track from the artist Goldmund. 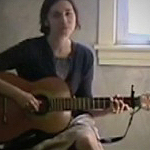 The song is a cover of "Birdless" by The Innocence Mission. You can stream or download the track at Unseen-Music.com. Visit the Badmanrecording.com store to pre-order the new album from the Innocence Mission, My Room In The Trees. Since I don't speak or understand a word of Japanese, I can't really describe the commercial, but you'll get to hear a good snip of "All The Weather" from the forthcoming album, My Room In The Trees. Amazon.com has posted the title tracks to the forthcoming Innocence Mission album, My Room In The Trees. To view the tracklist, play times and other details, click the album cover below. Two notable bits of information...the demo track "Rhode Island" is finally being released as a re-recorded track for this album. Also, the We Walked In Song bonus track "Shooting Star (sketch)" found on select imports will finally be released as a featured track on My Room In The Trees, however with the name change of "I'd Follow If I Could." Thanks go to Gary for the email. Be sure to visit Badman Recording Co to preview the new Innocence Mission track "The Happy Monday's" (from the Innocence Mission's forthcoming album, My Room In The Trees). You'll find the track on the site's main page via the link above. The Ephrata Main Theatre will be selling beer and wine at select showings. Live music will be debuting in the fall. Click the below link for more. Lifelong friends, Tim Kwiat (vocals, guitar) and Innocence Mission members Mike Bitts (bass) and Steve Brown (drums) are looking to get back into the studio after roughly a 15 year hiatus. Tim posted on Facebook to let us know that he's recorded some rough demos and hopes they'll do some live shows down the road. More on Super Genius and their lone recording from 1995, Painting In The Rain, can be found here. My Room In The Trees, will be available in stores and online on June 28th, 2010. Badman Recording Co. will be taking pre-orders for the CD around May 1st and shipping in mid-May. Thanks to Gary for sending the link. Steve Brown and Mike Bitts will be playing with Cliff Hillis at the Lancaster LAUNCH Music Conference Fri. April 16 at Gusto's. New album to be released in June! 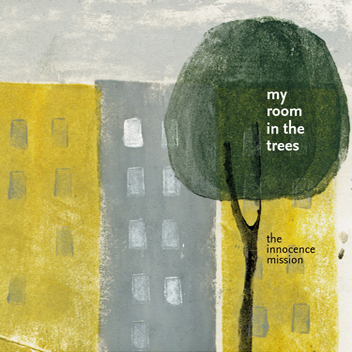 Updated: The Innocence Mission have updated their web page to reflect a June release for their forthcoming album titled My Room in the Trees. Additionally, they've announced that Steve Brown has returned to play drums on one of the tracks. "New Innocence Mission CD is DONE...It will be released in a few weeks; Amazon, CD Baby, etc. will carry it."